If you have a black Lab and are looking for a few good black Lab names for your friend, here is a list to jumpstart your efforts. 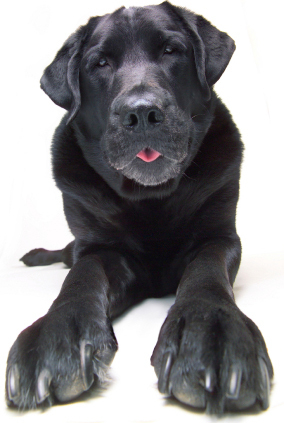 As you probably know, the Labrador retriever is a very sweet, loving and affectionate breed. This breed is also clever, devoted, and has a happy-go-lucky demeanor. This breed is very intelligent and full of high spirits, which helps to add to the amount of love that the breed normally gives. These pooches also love to play, are good natured and have a fondness for the water and are people oriented. So whether you’re looking for male Lab names or female Lab names, here are some ideas that will do your dog justice. Ace: Always leading the pack, this identifier is for your number one boy dog. Ace is a go-getter and can be a bit unruly at times. A great black Lab name choice for a well bred pup that makes a great hunting companion. Batman: Brave and courageous, this pooch is always on the look for intruders. A bit protective, he is always on the move guarding his property. A cool black pick for the Marvel comic fan or a fan of the movie series. Doc: Attentive and caring, this boy dog will always take care of you. Loves to protect and care for his family. Doc will never leave your side, especially when you are sick. The loyal and willing pooch deserves this name. Ebony: Beautiful, black and proud, this girl Lab shines anywhere she goes. A bit feisty, she is not only pretty but dependable as well. 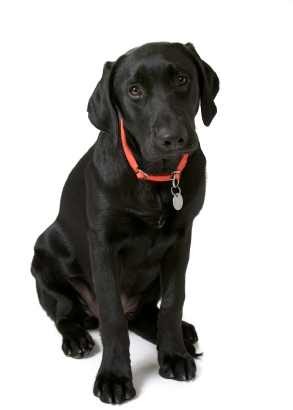 A great black Lab name for the pup that is superb with children and equable with other dogs. Eclipse: This unique name is for the pooch that will have some bounce. Often possessing two different sides, this dog will have the best of character, which is loved by everyone that she meets. Magic: Very intelligent and aware of his surroundings, Magic is the pooch you can count on. This Lab likes meeting new people where ever he goes and does not like to be confined. A unique name for the dog that loves plenty of freedom. 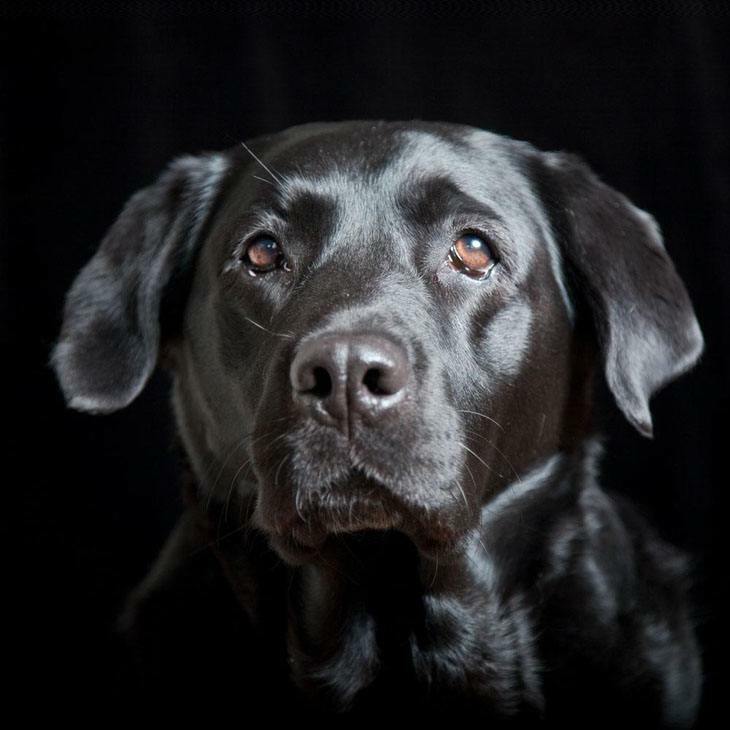 Marla: Big and brave, Marla is the black Lab that holds her family dear and will protect them at all cost. This girl loves to live lavishly and will surround herself with nice possessions and foods. Guinness: Smooth and friendly, this boy is very playful. Guinness is very stable and will take life and things in stride. Midnight: Give this identifier to the pooch that is happiest when it is with you. Loving and warm, Midnight will bring you all the things that it finds lying about the house. A cool name for the black lab that lives up to the true meaning of the name of the breed. Ninja: Fast moving and highly energetic, this black Lab will always land on his feet. Ninja is a courageous pooch that likes to jump from place to place. Very active, he sees things quickly and hunts well. The pooch that skillfully guards his treats will love this name. Phantom: Choose this for the boy Lab that loves to pretend that you cannot see him. This pooch likes to move around and eats so fast that you may feed him more than once. A great pick for the pooch that easily disappears without notice from a party. Shadow: Cute, quiet and always watching out for you this girl will work hard for your affection. This pooch was cloned by some weird shaped scientist. A cool name for the girl Lab that likes to just sit and watch life goes by. Twilight: This beautiful girl dog is always the center of attention due to her beautiful black coat. This pooch will always have her own opinions of course, and would rather lick you to death than hurt you. A great black Lab name pick for the loving dog. Vader: Always standing tall and cool this boy black Lab thinks he is the leader of the pack. Quick to respond to any sound he hears, this dog will bark wholeheartedly to stop all intruders. Warlock: Powerful and strong, this unique black Lab name is for a boy that will mystify you with his playful charms. However, this lab can be downright moody at times for no apparent reason.